Loomstate !Act Natural! Blog: Labor Day Sale! 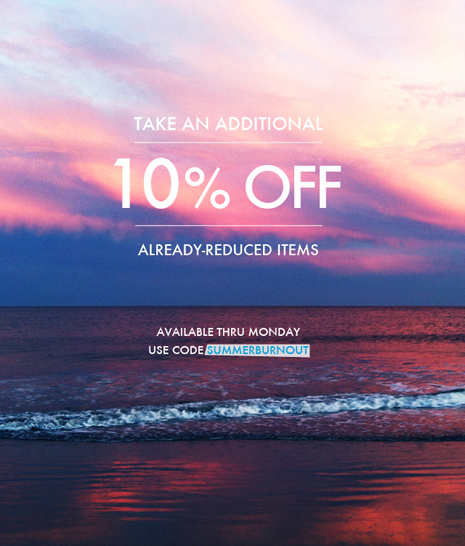 Use SUMMERBURNOUT at checkout for an additional 10% off styles that are currently marked down! This offer is only available through Monday. Enjoy and relax this weekend! SHOP SALE.